When you think of Antarctica you likely think of a barren wasteland, filled with snow and ice and without much life. This is the image that most people have of it, but it isn’t entirely correct. As one of the seven continents, it actually has a lot more diversity than you would think of and it’s becoming a trendy destination for adventurous travelers. Covering over 5,400,000 miles, it holds a number of fascinating features and it is more accessible than most people would think, although it’s still expensive. Getting to know that people live there year round and that there is actually native vegetation there is likely shocking to most people. Here are five of the most interesting facts about the southernmost continent in the world to show you how beautiful and diverse Antarctica is. While most people know this continent is surrounded by the ocean, they don’t know that it actually holds around 60% of the freshwater on Earth. However, this doesn’t mean that it is accessible, as most of is frozen throughout the year. However, stations that have been built by humans can actually melt the ice down, creating holes and lakes used by humans and non-humans. Once the water has been melted, it is usually placed back into the holes or lakes, making them larger, before going to heated storage tanks that provide easy access to anyone at these research stations. There is also a dam near Macquarie station that feeds its tanks with fresh water. They even employ plumbers and tank cleaners that live in the Antarctic full time! When we think of a desert, we usually think of the Sahara desert, the sandy, barren and hot desert of Africa. However, the Antarctic is also considered a desert because of the lack of rainfalls in the area. A desert is any area that gets less than 10 inches of rain per year. 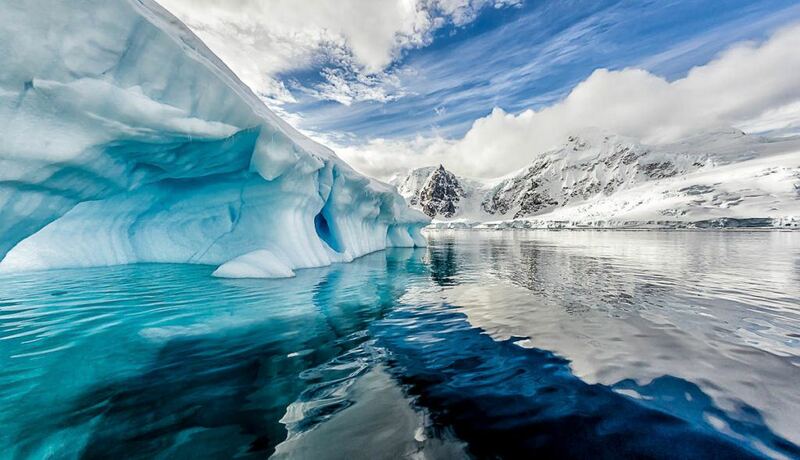 Antarctica gets 2 inches or less each year, making it one of the driest deserts in terms of precipitation. However, the permanent layers of ice and snow, as well as the fact it’s surrounded by oceans make it less arid and barren than the other deserts in the world. It might sound a bit strange when someone says they have run a marathon in all seven continents, but there is a good chance they are saying the truth. 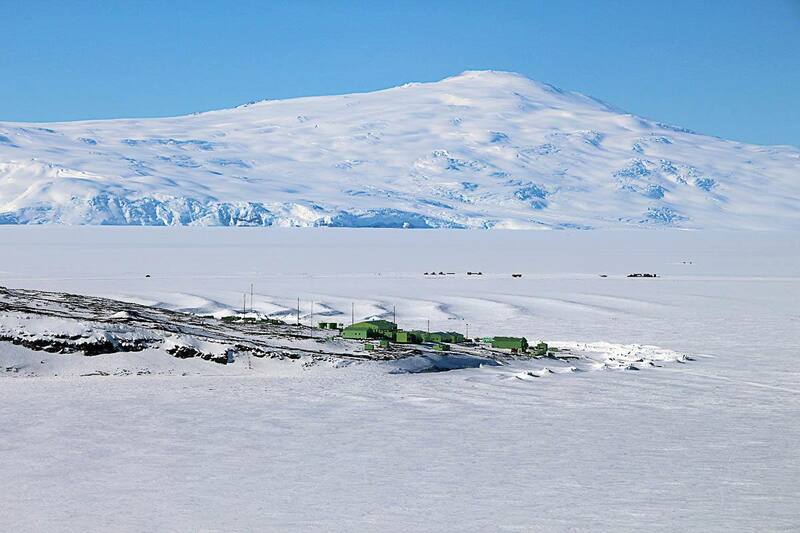 Every December the Antarctic Ice Marathon is held in Antarctica, about 100 miles inland. This marathon is the only footrace held in this continent, but not the only race. The marked course is almost 27 miles of length, the temperatures average around minus 20 degrees Celsius and it takes approximately 3 days to be completed, that’s including the time to fly to and from the race course. The actual running is done over the course of a single day, during which a half marathon is also held. Contestants are housed together, provided with food and water, and the entry price even covers the flight to and from Chile. Usually, Chile is the start point for tourist expeditions to Antarctica. Volcanoes are generally thought to be in extremely hot places which wouldn’t generally allow for giant sheets of ice to be over them, but Antarctica actually has at least 138 different volcanoes underneath the ice. Out of these volcanoes, only two are currently active – Mouth Erebus and Deception Island, but the majority of them still have the potential to reactivate. 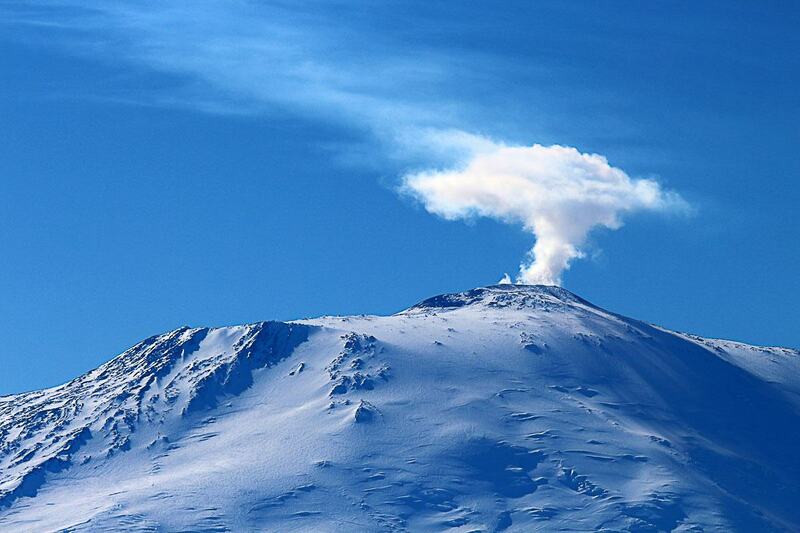 Mount Erebus has actually a boiling lava lake but it is also covered by glaciers. If you were not told they were there, you wouldn’t believe the area had so many volcanoes. Antarctica hides so many amazing things and there is so much left to be discovered as well, but due to the extremely low temperatures in this continent, there is a very limited time frame for research to be made each year, which is already enough for plenty to be discovered. With extra funding and technologies such as drones, solar batteries, and improved thermal clothing, we can only expect to learn more and more about it in the years to come. While you don’t usually think there is running water in the southern continent, there is actually a waterfall that is not only flowing for the majority of the year but it also looks like it is made out of blood. The coloration of its water has actually stained the ice and the rocks around the fall, making the area appear to be permanently bathed in red. This striking sight is caused by the oxidation of iron in the saltwater, a similar phenomenon to the orange or red color resulted by rusting. The high levels of iron and salt are actually the reason why the water is able to flow rather than freeze as well. Traveling in Antarctica is developing quickly as well. In the past years, the number of tourist expeditions to the ice continent has increased considerably. It’s not an easy or cheap trip, but definitely an adventure of a lifetime. While you can’t make it to the southernmost continent, you can satisfy your desire for a freezing adventure by traveling to Iceland or searching for the Northern Lights in Rovaniemi, Finland. Awesome Natalie! I didn’t know these things but they sound fascinating. Antarctica is one of those “on the list but wow it’s hard to do” places for me so this was a very fun read! Not an easy place to go but is on our list for sure!